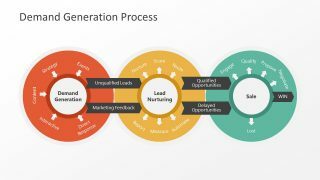 The Demand Generation Process PowerPoint Template presents four slides for different conceptual models of sales and marketing. 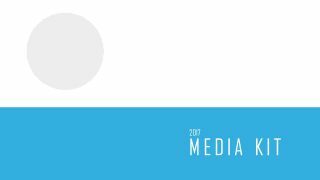 Unlike lead generation, the demand generation is based on push marketing method to develop a need for product or service. 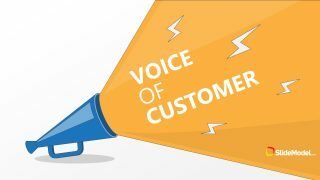 The demand is created by developing interest and awareness about company, product, or solution that it may provide. 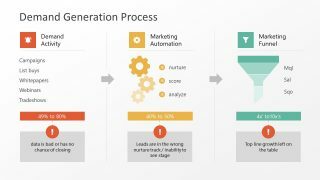 This demand generation is a complex process which leads to future lead generation. 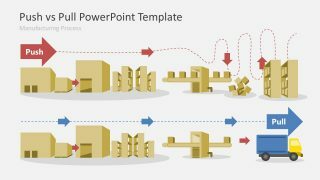 Therefore, the demand generation process template contains flat model layouts with colorful shapes and smart infographics. It further present diagrams like 3-segment, two-way funnel, horizontal process flow, segmented process cycle. 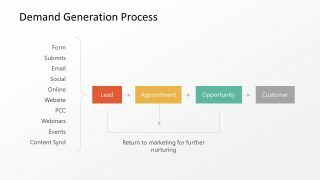 The Demand Generation Process PowerPoint Template is a presentation tool for visual goal alignments of sales and marketing plan. The first slide shows 3 steps process flow diagram for demand activity, marketing automation, and marketing funnel. Each vertical segment here includes clipart icons for visual representation, text placeholders to add keynotes, percentage, and additional text bar. This slide can demonstrate a quick overview of all activities before executing a market plan. 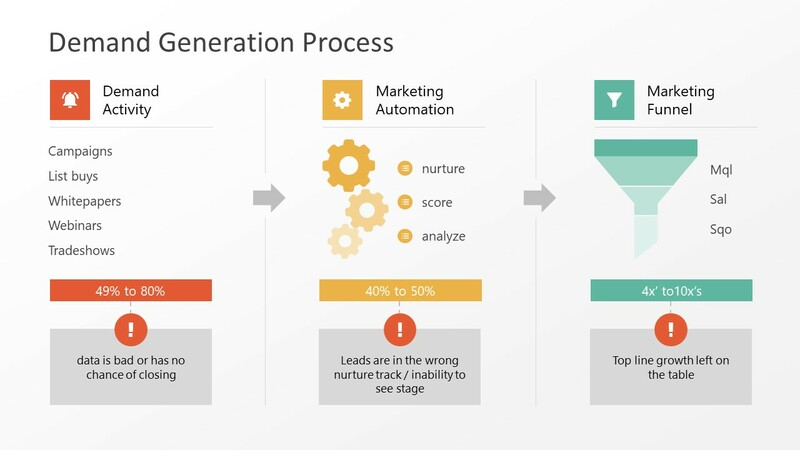 The slide of lead generation vs. demand generation displays comparison in two funnel shapes. While simple process flow diagram provides a list of possible demand channels along with four steps generic sale process. But the last slide presents an outstanding template layout of three processes in their sub-process cycle. These include, inbound marketing, lead nurturing, and sales. 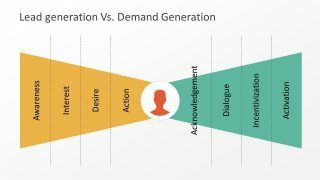 This slide deck of demand generation can benefit any business or organization including digital marketing personals. 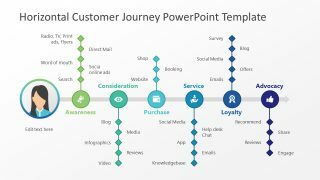 But the supporting terms and text are ideal for presenting this PowerPoint as a learning tool for business and marketing students. Furthermore, users can modify text and graphics content of diagrams by making changes in editable objects. Such as changing colors, reshaping diagrams, or adding various effects.